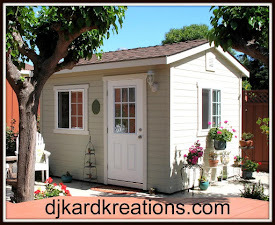 djkardkreations: Cherries Jubilee for TYI! Happy whooshed-around-to-Friday day! I hope your week has been grrrrand! Don't give one thought to the fact that today is Friday the 13th and you've already gotten a paper cut from opening the cereal box and one of the kids emptied your purse into the dog's water bowl. That should do it then for bad luck for you today. Promise. Go on about your business. I mean, after you read this. I'm not gonna lie, Jeanne's pretty tag truly challenged me since I'm a person who generally likes a lot of white space. But there's nothing like a challenging challenge to get Hammy running full blast on his thinking wheel. Round and round and round he went until, wallah, we had cherries jubilee! The tag top was die cut with a NBUS "Pinpoint Dome Tag Decorations" die from Poppystamps and embossed with a Cuttlebug e/f. The bottom of the tag was cut with an MFT Die-namics "Tag, You're It" die using cherry covered pp from my stash. The two were taped together on the back and belted with Washi tape. The fishtail flags were handmade from Washi covered cardstock and the center flag is stamped with the CFC stamp "Out Loud." The sediment is from SU and the center cherry focus pocus is fussy cut from a piece of pp I have. 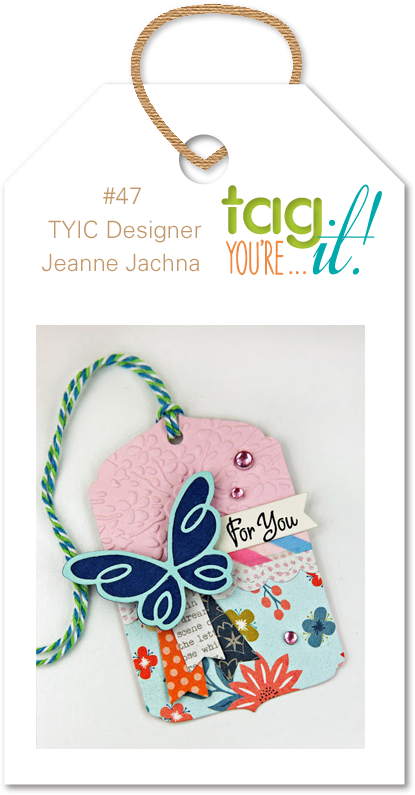 How will you be inspired by Jeanne's tag design, my inspiration, and the wonderful inspiration of the rest of the Design Team? I hope you will join in the fun! Click here to go to the current Tag You're It challenge! 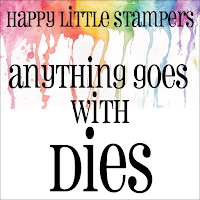 HLS - Anything Goes With Dies. Simon Says Stamp Monday Challenge: Emboss it. Stamp, Ink, Paper: Make one element stand out: Cherries. I was going to share with you about how I am doing on the increased dosage of medicine for one of my ail mints. About how I have less fatigue and I'm down to just one very long afternoon nap, but about how now I'm experiencing yet another difficult side effect in the form of fatigain. Prior to this increase in medicine, I had been moving more and eating healthier to be fit for my trip to England in July, so this development is disheartening. But then a dear friend wrote to share that her husband is not well and he will be facing surgery soon and one of her sons is also ill. Another friend is facing brain cancer surgery and another friend's wife is declining in her battle with cancer. Yet another friend is dealing with family mental health issues and my own son is struggling with a debilitating attack of gout. Unfortunately, there are many folks not included above. Thinking of my friends and family with serious crosses to bear and dialing in on my Perspective Button, I am reminded that weight gain caused by medication is not something to be upset about in the grand scheme of things. Especially when the medicine is helping. So never mind. My British friends will love me even if I'm a flufflier version of myself. All the better for hugging, right?! So big hugs to you if you have serious issues on your plate right now! I hope you'll join me in welcoming these five lovely new friends! Lilian (littlelillyb) of Lilian's Crafting Blog. Lilian started her blog in September of 2014. Lilian shares events that are happening and the lovely cards she makes for playing in challenges. She also makes 3D art pieces, so you'll find lots of varied inspiration on Lilian's blog! Mac Mable of The Sweetest of Peas. Mac has been blogging since 2014. Like so many of us, Mac was inspired by online challenges to try her hand at new techniques and join in the fun of blogging and entering challenges. Now she is a seasoned challenge player and award winner. You'll agree the recognition is well-deserved when you see her magnificent card art! SonjaK of SonjaK - The Art of Stamping. Sonja is from Germany and she started blogging in 2013. Sonja has loved paper in all forms since she was a child. She enjoys drawing, painting, journaling, and calligraphy. 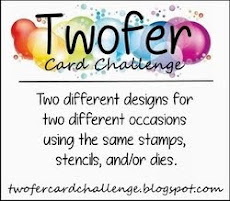 Sonja was introduced to the hobby of card making and scrapbooking in 2012 and we are fortunate she started her blog and began playing in challenges. Her creations are sensational! Kavitha of Kalalayaa's Art Studio. Kavi has been blogging since 2009. Her artistic talents are unlimited. You'll be blown away by her scrapbook layouts, canvas art, home decor, journals, and, of course, cards. Allow plenty of time to enjoy all that Kavi has to offer! Barbara Joyce of Inky Fun. 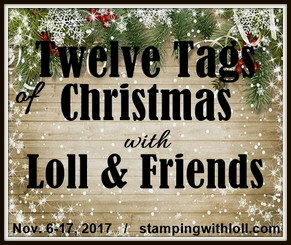 Barbara Joyce has been active on Splitcoast Stampers and she has started posting more often to her blog as of January of this year. You will find her beautiful cards arrayed gallery fashion and you'll be impressed as you scroll through oodles of inspiration! As always, thank you for coming by to visit the Playhouse and special thanks to you if you take the time to join as a follower! Please let me know you came by, so I can be sure and return the flavor as soon as I can! 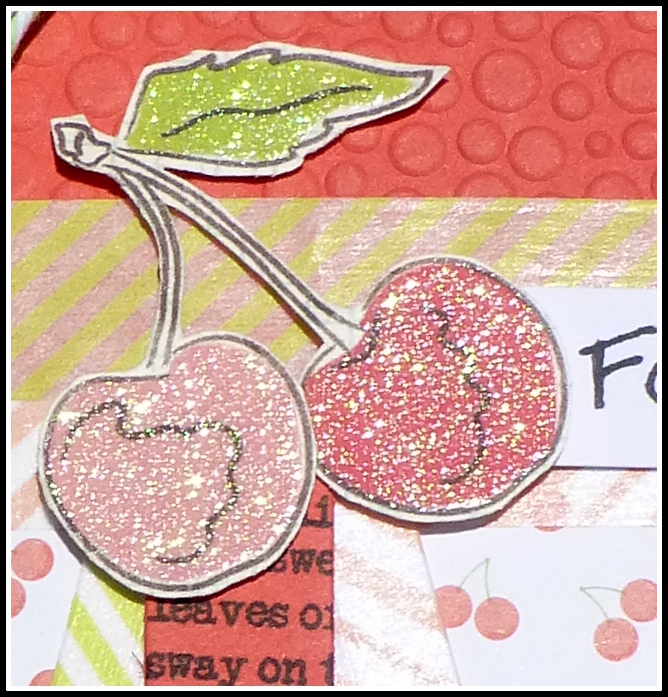 Fabulous tag, so happy and colourful with these cherries and the gorgous embossing! Yes, it is so easy to moan and groan about our aches and pains and weight gains.....I am so guilty! We love you no matter how fluffy you get and so will everybody in the UK!! Congrats on being Guest Designer! And with a great tag! Love the colours and so many layers...sio beautifully done... And the cherrie looks like you can bite it... Enjoy the weekend! This tag is cute-cute-cute! I may CASE your CASE! The colors are the bomb, and I love that textured top! Hang in there: all the love you feel for your friends will also heal you. Adorable tag with so much detail. Those little tails are so cute and a great way to use washi. You know, we all struggle with weight and it comes and goes so please don't stress about it. When you are up to par you will be out walking again and it will be leaving. It is good to be able to put things in perspective. When we think of our issues against what others are going through we see how lucky we really are. I have had a bout with gout (so to speak) and it is the most painful thing I've ever had, hands down. Feels like a million glass chards poking in your skin. I feel for your son and hope it's over soon. Hope anti inflammatorys help. Sending prayers for all those suffering so much. Yummy tag Darnell - good enough to eat..... and talking of eating (who was mentioning weight gain - you are BANISHED from mentioning it ever again.. a little 'plumpness' is very flattering in a 'mature woman'... so I am making it my mission in life to achieve this - when I get old of course!!!! Of course we will Darnell, you'll have so many hugs you wont know what's hit you! Darnell,Keeping positive thoughts, at least you are feeling well and able to travel, and that is most important! What's a little extra fluff? right? Darling tag! Will keep you in my prayers along with your son! Hi Darnell, loving your beautiful tag, the cherry image and colours are fabulous. Reading your post made me think that you're being a wee bit hard on yourself, your condition causes you problems and that doesn't detract from what others experience and suffer, it's all revalent. What you are experiencing is important to you. Now on the weight issue, have you thought about cutting down on carbohydrates, that will help to loose a few pounds. Having diabetes I have to be careful of these nasty little carbs cos they sneak in when you're not looking. And many are hidden. Just a thought and you may already be doing this. Some medication is cruel regarding weight gain. Congrats on your well deserved Guest Designer spot! Such a cute tag, Darnell! 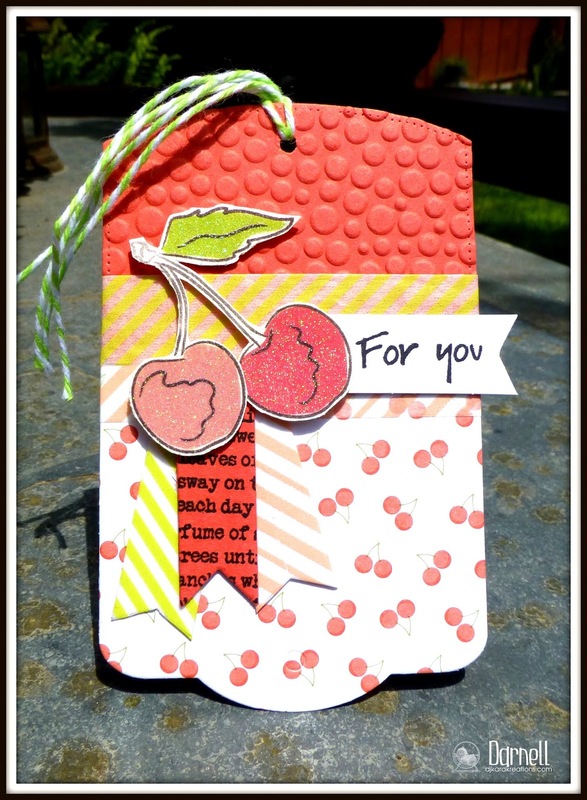 Fabulous take on Jeanne's inspiration tag, and I love your sparkly cherries! I'm so sorry that you're going through such a rough time right now! But, glad to see that you have such a great perspective on this! Once this is resolved, I'm sure the weight will fall off, and you'll be back to your 'old self'! Keeping you in my thoughts and prayers for a full recovery ~ Hugs! Congrats on being GD on your tag. So cute. Glad things are looking better for you. (((Darnell))), Hope the new dose doesn't have too much of a side effect. maybe your body will adjust to it. Love the tag. Noticed cherries in the shop this past week, but still rather expensive. Strawberries slowly coming down in price. Your friends over here will be so pleased to see you. Congrats almighty Guest Designer. This will definitely be a fun tag to CASE. All those sweet elements will challenge me up the yang as, I too, like a predominance of white space. So whatever I do, it will be interesting. So glad you feeling better. It must be a huge relief. We all become so sure that our ailment is the worst until it hits us between the eyes that there are many more with bigger problems...something I keep reminding myself of every day. You're so right, there will be just more of you to cuddle and love. I feel your pain... This tag challenged the heck out of me, too! PS. I don't know what it is about cherries, but I like them. They make very pretty cards and tags, don't they? So very pretty! You have a wise perspective! Thoughts of you and your health! That's one gorgeous tag Darnell. I love your glittery cherries - my favourite summer fruit. I love your gorgeous tag and congrats on the design spot. As to the weight gain, your friends in England will just have more of you to love. Sometimes the side effects of medicine do mess us up a bit but we just have to put up with it as long as we feel better. So don't fret it. And, have a fun trip! Very pretty tag, Darnell. I keep you in my prayers and will say one for all those you mention too. Congrats on your GD spot. Your tag is fabby and a departure from your normal style...sometimes that is fun...and the sense of accomplishment outside our comfort zones is well worth the stretching. I can vouch for the fact that you give GOOD hugs! I love how you put the 2 die cuts together to make an all new shape! What a fun tag! Gorgeous tag, love the colours and the elements. It is not the niceness of the appearance that counts, it is the niceness of the person that counts. I saw your tag first on the TAg You're It page. I really like how you took the inspiration tag and made it all your own with that yummy cherry theme. You are so right abut putting everything into perspective. Glad to hear you're feeling better at least. Hello Darnell! 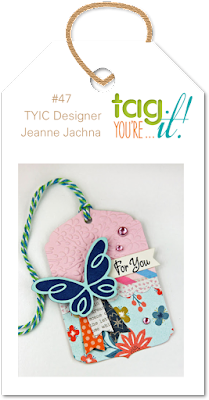 What a yummy version of Jeanne J. tag... fortunately you have Hammy to help you with patterns and all other crafting issues. Congratulations on your GD spot! It is good to know that your medicine is helping despite the side effects. I'm also a fluffier version of myself due to medication. I've gained 10 kg from about three years ago up to this day. I don't like it, but I agree that we should put things in perspective and be thankful for (just) those side effects. P.S. - For other news, I am now a happy owner of a blog that I'm still trying to manage (wish I had a creative and wise Hammy like you :)). Love all the different elements in your tag. I think you've pulled this together beautifully! I'm so glad you are feeling a bit better. Putting things in perspective is something I try to do all the time but some days are just plain hard. So don't be too hard on yourself as your problems are real too. Congrats on the guest designer spot and I love this pretty, pretty tag! So shiny and looks yummy with all the fun papers and those cherries. Sorry to hear about the problem with the meds and all that, but hey, fluffy is more fun maybe! Besides that, you're still you and that's what really matters. Yes, every time I get "down" like I know you probably have on occasion, I just think of so many that have more problems than me. So much more serious problems too. Hang in there and know that you are loved! I LOVE your tag and your wonderful heartfelt, huggy post. I will kepp all of friends mentioned in my prayers and also pray for all those suffering alone without great friends like you. Keep inspiring us. Congrats on your GD spot! Your tag is fabulous and those cherries are wonderful. I hope everything rights itself health-wise soon. Hugs. Congrats on your win and a gorgeous tag for your guest DT place. That is a delicious-looking tag! Well done (to Hammy, too, of course). You are right that you will be loved no matter the extent of your "fluffiness." It is your spirit, kindness, compassion, humor and all manner of other good traits that we love and admire. Congrats on a well-deserved Guest DT gig! Love your tag... it's adorable. 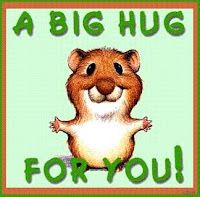 Sending lots of hugs for your current health concerns and continued wishes for a quick recovery. While I appreciate your perspective, it's still tiresome dealing with illness and its side effects. Hang in there! You did an amazing job with Jeanne's inspiration! Love your patterns and those delicious cherries! Glad to know you are feeling better. A little extra fluff is fine if it means you are feeling good! Take card and hugs!! Thanks so much for guest designing for Tag, You're It! There's just something about those cherries that is so cheerful. I think it's the idea that summer is on its way! I haven't been able to be around much lately to follow the news, but I'm so sorry to hear you are ailing. Your trip sounds too exciting to let anything spoil it! So yummy - I want to bite into those cherries! Hope you feel better real soon! We all want you to be fit and having fun, so you can tell us about it! Great to see you playing along with us at HLS! My spring yard work is finally done and I'm back from a few days in the city so now I can get visiting all my bloggie pals! I was feeling badly about being MIA but the only way to fix that would be to have 48 hour days instead of 24! A very, very successful trip outside of your CAS comfort zone! LOVE the texture, love the shimmer, and LOVE, LOVE, LOVE all the polkie dots! LOve your pretty tag ! Congrats on your win!! And this is another super tag! Sorry about your meds... All things are relative and there is always someone somewhere struggling but still and all I hear ya! I'm no skinny minnie either and I shall delight in seeing you no matter what!Big hugs! Well done you on winning and I really like the tag you came up with! The textured dots echoing the cherry paper is such a clever idea and I really like this colour combo. I'm so pleased the meds are working and weight can always be shed later if it is bothering you - more to hug is dead right! Hello there my friend....thinking of you and hoping that the medicine is helping you despite the side effects. As always...you have great perspective. Thinking of you! Love your sweet card...the shimmer is fantastic! Congrats on the DT spot! Your tag came out so pretty! Another fabulous teamwork with Hammy! It is frustrating when you don't have your usual energy but you are right, it could always be worse! Hope the side effects of your meds disappear soon! Congratulations on your GDT spot, your tag is gorgeous, the cherries are beautiful and I love the bubbly top embossing - beautiful, just beautiful! I know only too well about meds and weight gain, so I do sympathise but you are right, there will be all the more to hug. I am deeply sorry that so many of your friends are suffering, on their own or part of their family. I am sorry to hear of your Son with the gout too, I hope it clears up soon for him, it is such a painful thing to have to suffer with. Since I'm not adept with tags, I'm very admiring of this one! Love how you've used diff top & bottom of dies to create your own unique one. Love the Cherries theme, and such pretty paper. You and Hammy get a big A+ for this pretty one, and very summerish too! (is that a word?. Also glad to hear that your ailment is improving, and you can worry about the weight gain later. It's always good to put our own woes into perspective I guess. And I think you will be getting lots of exercise on the trip, and yes, just more of your own sweet self for those Brits to hug & love on! You keep on keeping on, and hope your friends & family do well with their own life difficulties. Big hugs going West. TFS & have a good wkend. Oh yeah, forgot to say, Congrats on your win, and on your GD spot! You amaze me...even when not tiptop, you just forge on ahead! Your tag is just as sweet as it can be!! Congratulations on your Guest Designer spot friend!! Such a fabulous tag, Darnell! Super love those cherries! I'm so glad you're feeling better, Darnell, & your perspective is such a good reminder. Always others with things so much worse. Wow--your trip is coming right up--bet you're really getting excited! Beautiful tag--sure can't tell it was a challenge for you! Congrats on the tag win! What a sweet and cute tag, Darnell! A super tag Darnell, a fabulous design - congratulations on your Guest Designer spot. Thank you for the lovely comment your left on my LIM card. Such a sweet tag...love those wonderful cherries. You are right we all have different crosses to bear at different times, I am sorry for yours right now! We all know how amazing you are and look when you are well and not on medication. Glad you are taking less now and hopefully on the road to recovery! Your tag is beautiful Darnell! Love that shimmer and we are so excited to have you with us! Keeping you in my prayers! Darnell your tag for this challenge is so sweet (pun intended). Lovely colours and fun embossing then to top it off the perfect amount of glitter! We are so excited to have you as our guest for this challenge! 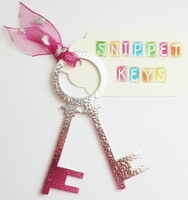 Beautiful Tag...love it totally..Thank you so much for joining us at Happy Little Stampers. Fun tag Darnell. Good too get outside your comfort zone sometimes eh? Sorry to hear your news, but of course us Brits will not mind a fluffier version of yourself! So excited to see you as guest designer for TYI! Perfectly fresh and springy take on Darnell's tag. Love cherries, especially when they're glittered! Big fan of all the layers too. Loved the lizzie pics. Have many 'lizzies' at home on our farm! A high five to you for going outside your comfort-zone and tackling a tag with layers, multiple textures and shapes and very little white space (as in only in between the dots!). Not only did you challenge yourself but you made the cutest ever tag that is bursting with fun. I am especially impressed with the fact that you used TWO different tag dies to get those interesting edges. That's something I haven't had the gumption to try yet but I love the results. I also know how you feel those side effect from your meds. I had to take steroids for an auto-immune problem for several months on and off and the side effect were nearly as bad (and sometimes worse) than the actual condition they were prescribed for. I also felt badly for complaining about something that wasn't life threatening, when I had friends who were struggling with serious illness. However, pain is pain and it's never fun. I think we are all allowed to complain just a little bit...and then move on. So you just go ahead and whine to us..and we may occasionally whine back. We can still feel lucky for the good stuff, and then just buy bigger pants. Glad to hear of the improvement with medication but sorry re weight gain, so agree about the perspective button. I was on phone today to someone for over an hour, I came away feeling very blessed, and burdened to pray as well, for some folks have a very tough row to hoe. Praying for your readiness for trip. Hope you're walking every day. That's one thing I did and really login walks once a week carrying a backpack X not super heavy but realistic amount. It made huge difference to my trip you always walk heaps even in London the walk to the tube can be forever, and if the country a ramble will always be on the agenda. Just a heads up in my suggestion. So sorry you are not 100% right now, Darnell! You are in my thoughts and prayers that the new meds will not cause more problems than they cure. Congrats on your win and GD spot on Tag Your It~ Love that shimmer on your pretty tag! Love your tag Darnell! Thank you for visiting my blog! Congrats on your DT gig!!! Just love your tag...especially the texture on the top! Thanks for playing Paru's Card Making challenges! There are always little things to be thankful about isn't there Auntie?!! And always someone who's plate is a little fuller than our own. I'm glad your medicine is helping and even if it is making you a little fluffier, nothing wrong with some fluff! It is definitely good for hugging! So I'm sure no one will mind in the least, and they will enjoying just giving you these awesome hugs. Wish I would be one of them, but instead I send my hugs long distance in this comment. BIG Hugs Auntie! What happy shimmery cherries. Quite cheery they are!